And just as the lottery was supposed to pay for education, they screw it up again. HISD has been on the receiving end of this law since 1994. How many millions have they brought in by being a ‘poor’ district? Oh the irony. Redistribution of wealth is all fine and dandy till it bites you in the arse. I don’t think HISD was receiving Robin Hood dollars. 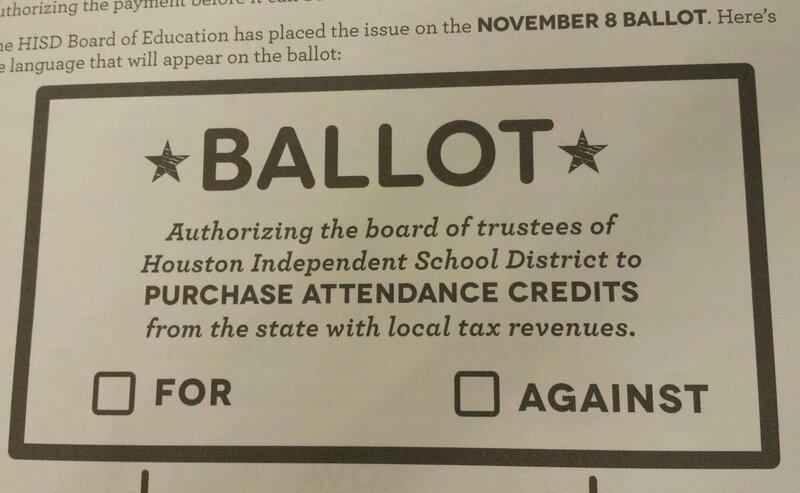 There was an exemption from having to pay, due to the district demographics, even though HISD was over the limit on the WADA to taxes ratio. I’m just enjoying seeing people who support wealth redistribution actually having THEIR wealth redistributed for a change. Who knows, maybe the school board will turn Libertarian, or even conservative! We should let the “free market” do its magic. If you can’t afford an elementary or secondary education for your children then you should work harder!!! Sheesh…this is so easy to solve.